Lyceum of the Philippines University (LPU), a private tertiary educational institution located in Region IV-A was established in 1966 by the late Senator, Dr. Sotero H. Laurel, who together with three prominent women in Batangas namely Miss Belen U. Castillo, Miss Criselda Castillo and Miss Pascuala Tolentino, laid the ground works for establishing another Lyceum in the province. Adopting the educational philosophy of his father, former President Jose P. Laurel, Dr. Sotero H. Laurel personally supervised the selection of the teaching staff and personnel, and served as its first Board Chairman and President. This institution formally received its University status from the Commission on Higher Education (CHED) in 2008. Consequently, it also obtained the Autonomous status in 2009 and 2016, the highest recognition being awarded to few tertiary educational institutions in the country by CHED. LPU is committed to a culture of quality and excellence marked by a familial spirit and a harmonious work environment which is embedded in its vision and mission. 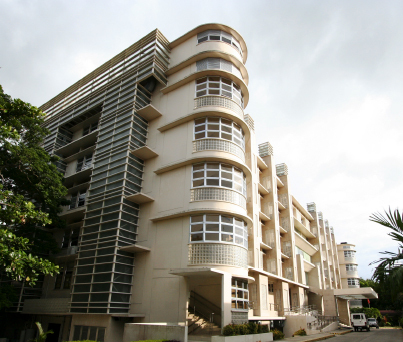 Through the efforts of the entire LPU Family, the university has obtained the Philippine Quality Award (PQA) as Recognition for its Proficiency in Quality Management in 2015 after receiving the PQA Recognition for Commitment to Quality Management in 2012 – the fourth school in the Philippines to receive this distinction and the first in Region IV. In 2012, CHED formally awarded LPU Batangas the Center of Excellence (COE) for HRM and Center of Development (COD) for Tourism and in 2016. LPU has also been granted COE for both HRM and Tourism programs and for Medical Laboratory Science, and Center of Development (COD) in Business Administration and Information Technology. Likewise, the international accreditation of HRM and Tourism programs to International Center of Excellence for Tourism and Hospitality Education (THE-ICE) has already been awarded to LPU– again, another first in the Philippines. In 2015, it was also awarded as the First University in Asia to be Gold - Accredited by the international standards for human resource training and development, the Investors in People (IiP). Its Quality Management System is certified to ISO 9001:2008. Also, the university has been granted the Institutional Accreditation Status by the Philippine Association of Colleges and Universities Commission on Accreditation (PACUCOA). At present LPU is PHILIPPINES’ FIRST Private Non-Sectarian QS Stars Rated University. LPU Alumni are gainfully employed and enjoy the success in their respective career/s here in the country and abroad.